Don’t you love a fresh bouquet of peony flowers? This simple trick will let you fill your vase with these beauties even after the typical blooming period. Do you know the feeling when your favorite plant is in bloom? You admire it from the garden, cut the flowers for a vase in your home and try to soak it up as much as possible. 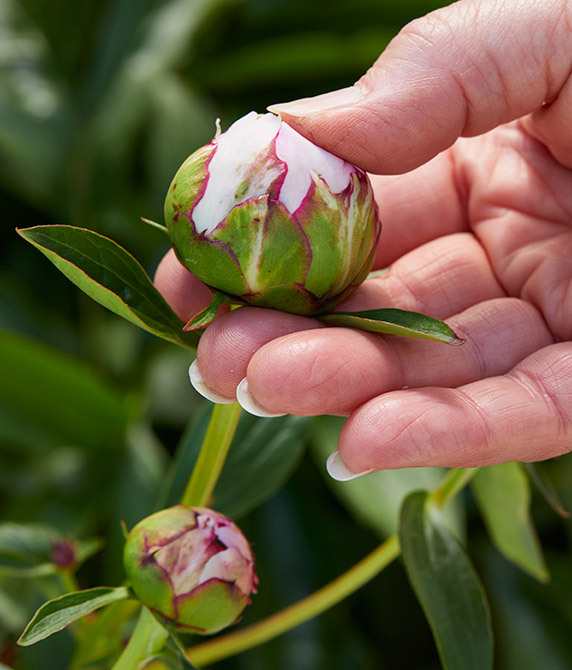 If you’re a fan of peonies, here’s some good news: You can "hold over" peony buds in the fridge for several weeks! 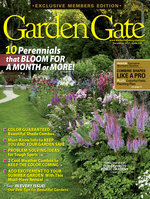 So even after the plant has finished blooming in late spring, you can have a vase of garden-picked peonies in summer. Let’s look at the quick and easy steps. 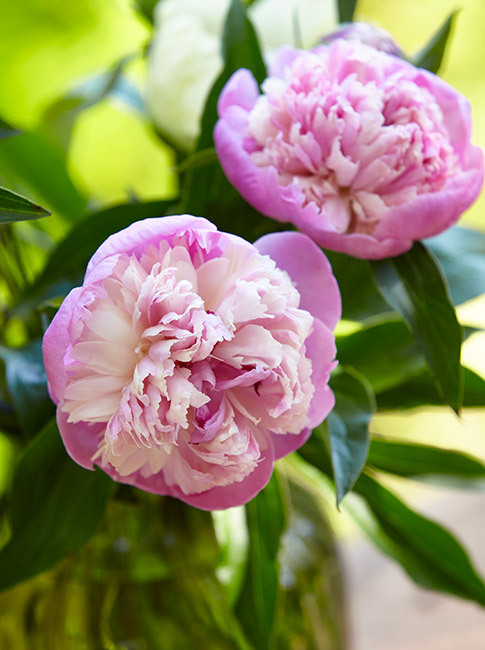 With peonies, you want to pick the budding flower before it has bloomed. The key is to pick a bud that is not too tight and is starting to loosen. Gently press the bud with your thumb, as shown in the photo here. It should squish slightly and have the density of a marshmallow. Cut the stem just above a set of leaves and longer than you will need it to be for your vase, because it will need to be trimmed again when it’s time to arrange it. Place the buds inside a large plastic zip bag and seal it to preserve the moisture. No additional moisture is needed because it could cause mold to develop. You can store them in the fridge for one to two months! When you are ready to have a bouquet of peonies, take the buds out of the fridge. Cut the stem again about a half-inch from the bottom and at an angle, and place them in room-temperature water. Then enjoy! It's a gorgeous spring day, and the flowers in this garden are ready to celebrate. 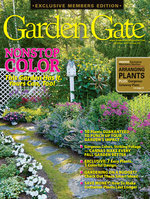 Learn the secrets to making this garden so cheery and bright. 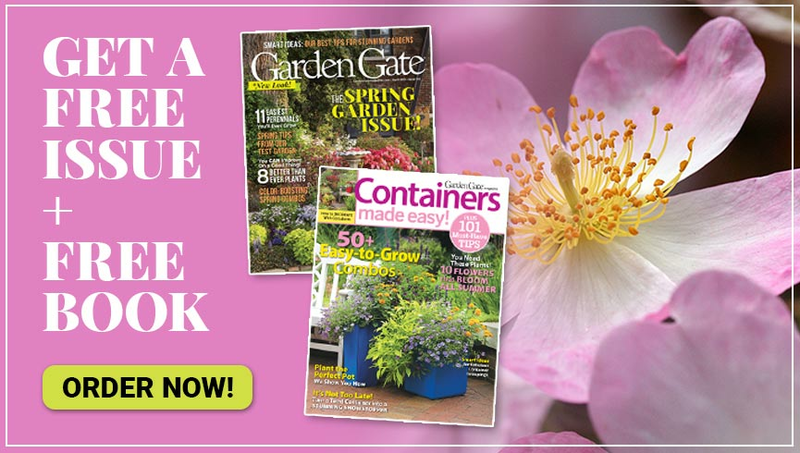 Whether you’re planting vegetables or making more room to plant some flowers, here are simple instructions for building a raised garden bed.